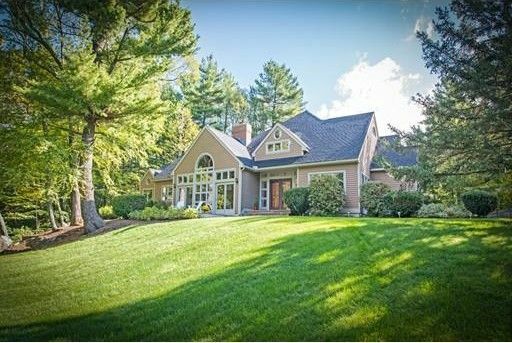 This custom-built home shines brightly situated up on desirable Lantern Road. Beautifully landscaped and well maintained. Prepare to be delighted as you enter into this light filled home offering a separate barn/annex with it's own heat and electricity. So many options for this space.... a workshop, studio or home business. Open and bright with a large floor plan that's refreshing and modern. Expansive two- story brick fireplace family room that is open to the kitchen and eating area while overlooking the back yard and deck. The first floor offers two large bedrooms and a full bath, along with a study and a formal living and dining room. Entertain on the deck that flows from the screened in porch offering a relaxing hot tub. A large master suite with over-sized bathroom and spa like walk in shower - along with full walk- in closet. The lower level has a play room and extra room/bedroom along with laundry room. This home is pristine and the savvy buyer will instantly fall in love!